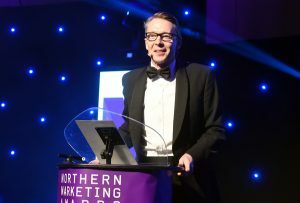 The first closing date for entries to the Northern Marketing Awards is this Friday, July 21st. The awards - the ‘must attend’ industry gathering for marketers in the North - return for a fifth year at the The Hilton hotel in Manchester on Wednesday 1st November. Entries for the 20 available categories can be submitted here. Each entry will be charged an administration fee of £100+vat per entry which must be paid when submitting your entries. Entries submitted after the first closing date of July 21st - up until Friday July 28th - will be £120+vat. A sell-out crowd of over 400 packed into the same venue last year, and we're confident that this year’s event will reinforce its reputation as the benchmark annual marketing industry services event outside London. The awards, which are again generously supported by headline partner Click Consult, celebrate the excellence, creativity and achievements of the marketing industry in the North. The region benefits from an abundance of quality communications initiatives generated each year by thousands of successful private and public companies and not-for-profit sector bodies. And hugely popular Prolific North initiatives such as the Top 50 Digital Agencies, Top 50 Integrated Agencies, Top 50 PR agencies and Top In-house Communicators reiterate the abundance of marketing expertise in the North. To submit an entry or to get more specific information about the Awards, please visit our dedicated website at www.northernmarketingawards.co.uk or contact Joe Charlton at Don’t Panic on 01706 828855 or at joe@dontpanicprojects.com. The submitting company or agency or their client must be headquartered or have an operational base within the North of England. We are delighted to announce that once again the leading search marketing agency, Click Consult, has elected to come alongside the NMAs as the headline partner. Click Consult was our headline partner in 2014, 2015 and 2016 and and was also our joint headline partner for the Prolific North Awards this year along with dock10. Once again we have assembled an outstanding panel of judges to help us ensure the whole process is managed and ultimately decided upon with the greatest possible degree of marketing expertise and professionalism. To enter, visit our dedicated Northern Marketing Awards website.